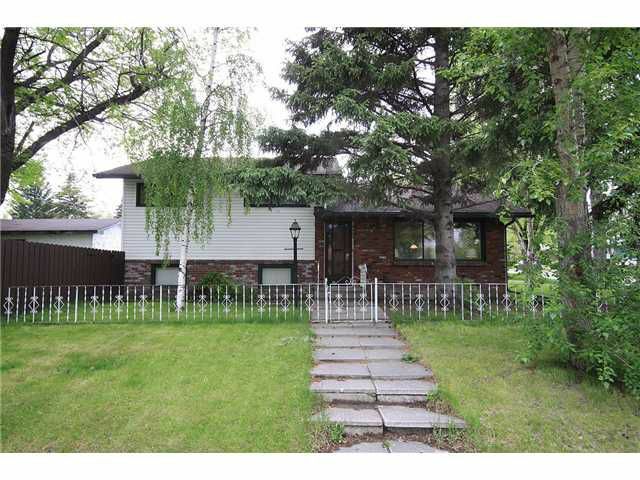 Looking for a lovely home with treed lined streets on a HUGE beautiful inner city lot? Then come see this Glenbrook Large 3 Level Split , fully developed on all 3 levels. As you enter the home, be greeted with a BIG Family room with a beautiful fireplace with BIG Windows that lets in LOTS of NATURAL Light!! You'll also find a Formal Dining Room, a Breakfast Nook, a NICE Kitchen with Stainless Steel Appliances!! The upper level, you'll find 3 bedrooms and the full bathroom. The lower 3rd Level Boasts a HUGE Family room for TV nights, with a bar for entertaining the games, and another bedroom. BRAND NEW CARPET here in the 3rd level!! Hardwood and tile on the main and upper floors!! Then come check out this LOT!! HUGE Corner LOT with SUPER MATURE Trees!! You can't never find trees like this in the newer communities... Garage Shingles just replaced, so NEW Shingles! GREAT NEIGHBORHOOD to grow a family or to start a family. Check out the PICTURES & VIRTUAL TOURS, then call FAST for a viewing! !